Artificial plants have come a long way in recent years, these days looking so much like the real thing that you need to touch them to be sure! Our artificial fern plant is an elegant, spreading evergreen with soft, arching green fronds, perfect for dark corners, home or work offices without windows or north-facing rooms. 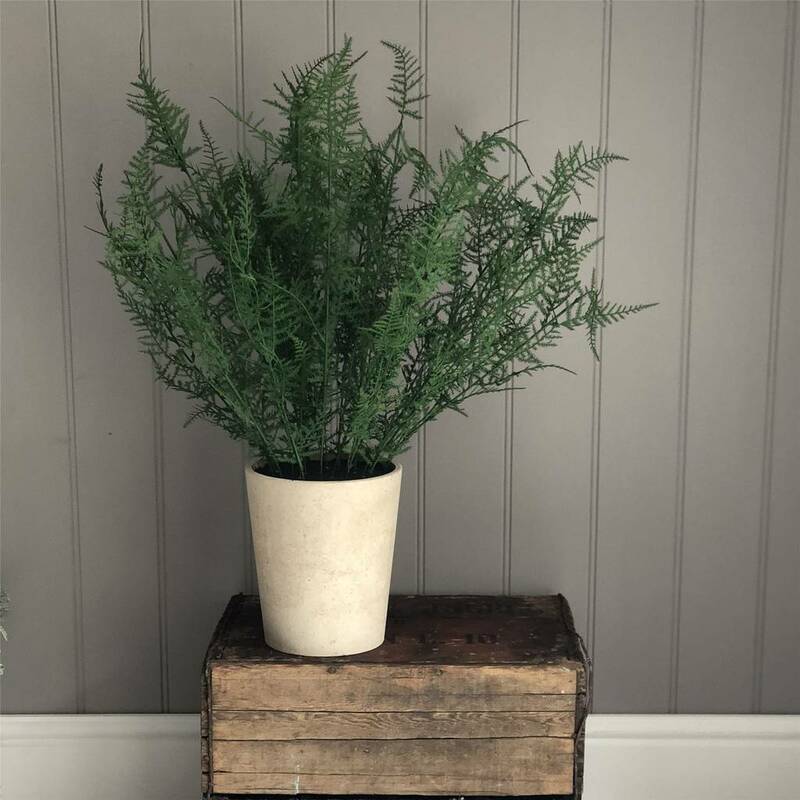 Potted in a tall, plain tub, this artificial plant can stand on any indoor surface, or be placed inside a larger pot or basket if you wish. 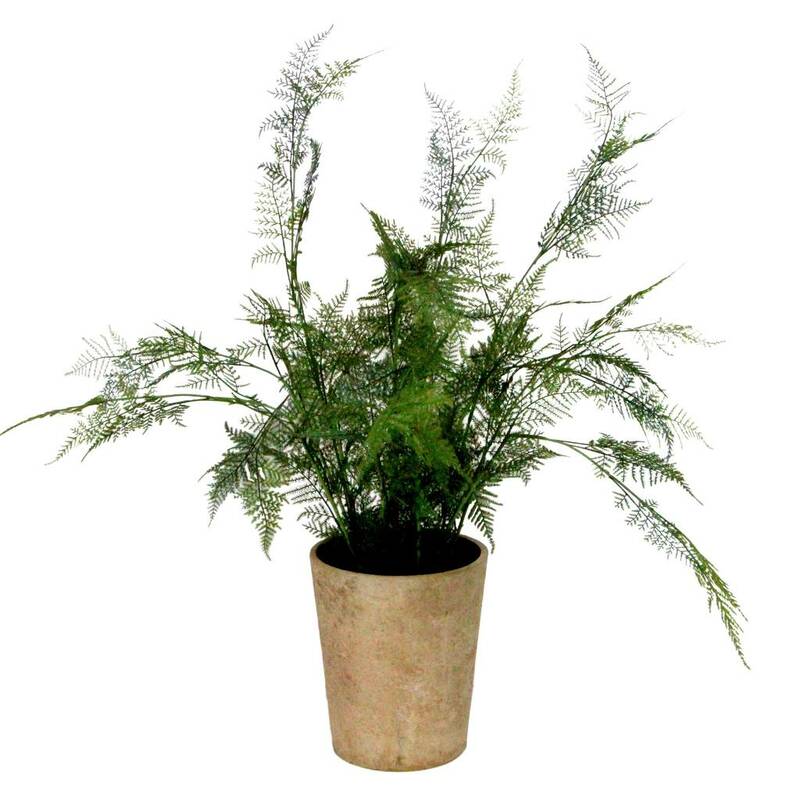 We recommend that this artificial plant is used indoors or outdoors in a sheltered position.